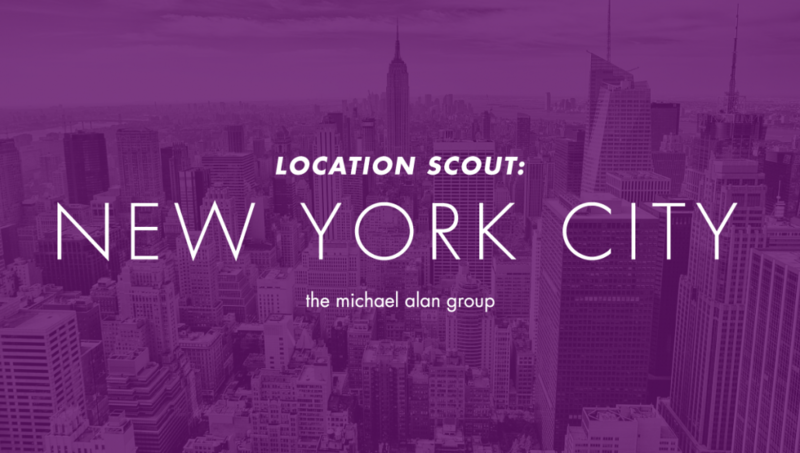 That’s why we’ve drawn on the michael alan group’s experiential marketing experience to bring you our picks for the top 10 best spots to activate in the Big Apple. A place that’s called the Crossroads of the World probably doesn’t need much introduction. It’s the most visited location on the planet and presumably the most recognizable too. So not only is this a one-of-a-kind hub for reaching consumers in person, but it also pays huge dividends in sizzle reels. 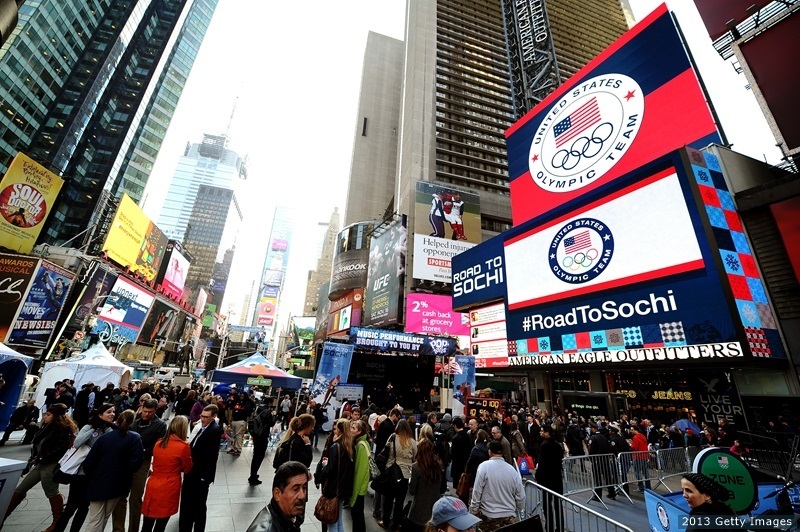 Celebrating the 100 day countdown to the 2014 Olympic Winter Games in Sochi. Union Square is one of the city’s most beloved, most trafficked outdoor event spaces. 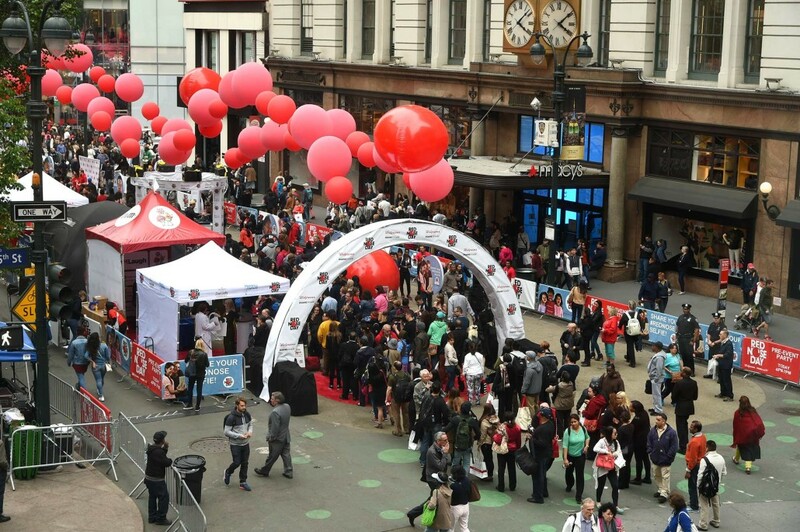 We strongly recommend that brands add their own events to Union Square’s huge docket of movie nights, holiday markets, and al-fresco fitness classes. Driving tune-in to the season premiere of Mountain Men on History Channel via an all-terrain environment. Yes, we know, another square, but it would be criminal not to mention Herald. This cozy clearing — great for collateral and premium distributions — is located just a few blocks from Penn Station on one side, and a few blocks from the Empire State Building on the other side. Plus it’s got its own subway station, which sees about 38 million passengers a year. Raising awareness for the inaugural Red Nose Day in the U.S. via an expansive pre-party, which was followed by a telethon aired on NBC. With views of the Flatiron, Met Life, New York Life, and Empire State buildings, Flatiron Plaza delivers on classic New York iconography without feeling too commercial or touristy. It’s a great spot for a small to medium activation that needs to pack a powerful punch. Plus, it delivers a highly concentrated local crowd during lunch time. 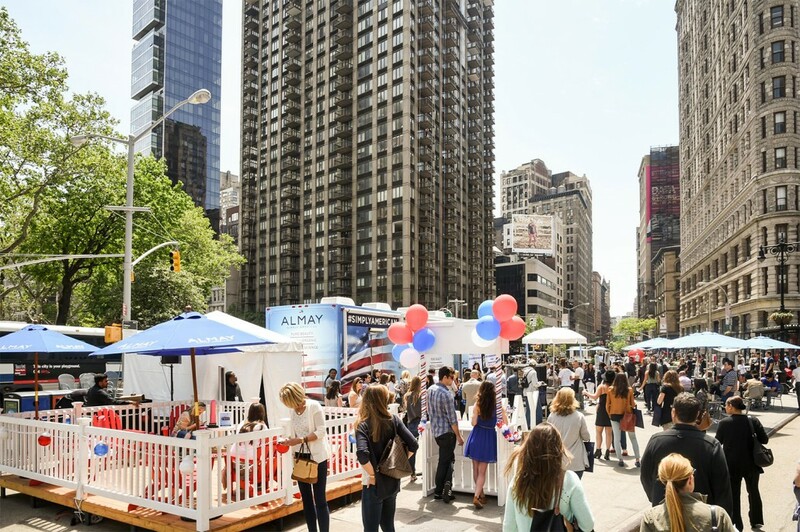 Building awareness and driving sales for Almay beauty products via a mobile tour, kicking off in New York City. If you’re of the go-big-or-go-home school of thought, we recommend the Javits Center — the glass colossus that hosts more than 150 trade shows, conventions, and special events every year. It has plenty of event and meeting spaces as well as year-round sponsorship opportunities. 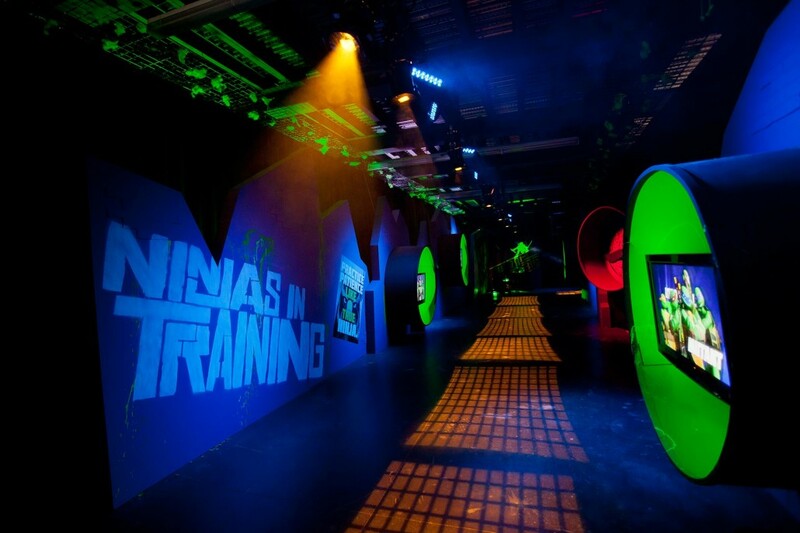 Generating excitement around the launch of Nickelodeon’s Teenage Mutant Ninja Turtle revival series by giving New York ComicCon attendees a chance to be immersed in the iconic turtle sewer lair. Time Warner has a wide variety of event spaces, with upscale environments to host groups both large and small. They all share great views of people falling in love down in Central Park and Columbus Circle. 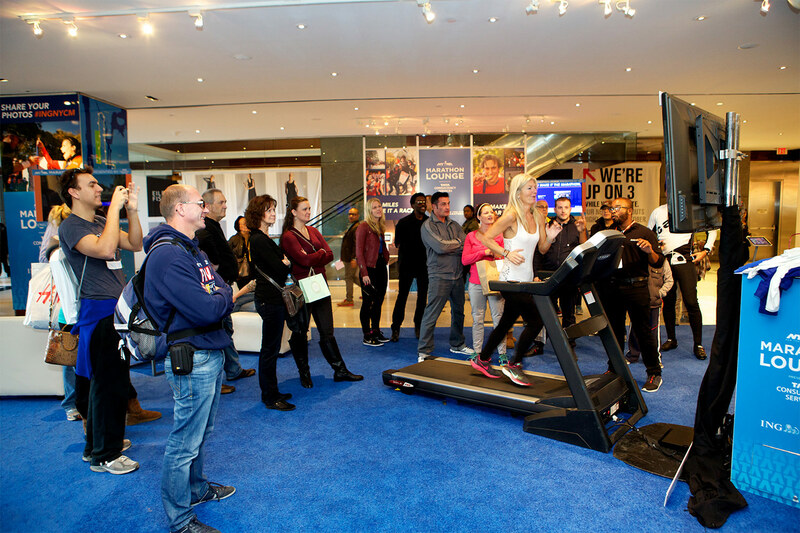 Providing runners with an experiential hub in the days leading up to the New York City Marathon and their family/friends a place to relax and watch them run on race day. We just mentioned people falling in love in Columbus Circle. They could be falling in love with your brand. This round-about is known to tourists for its access to Central Park, known to historians for its statue of Christopher Columbus, and known to regular New Yorkers as the best spot in the city to sit and wolf down a sandwich. 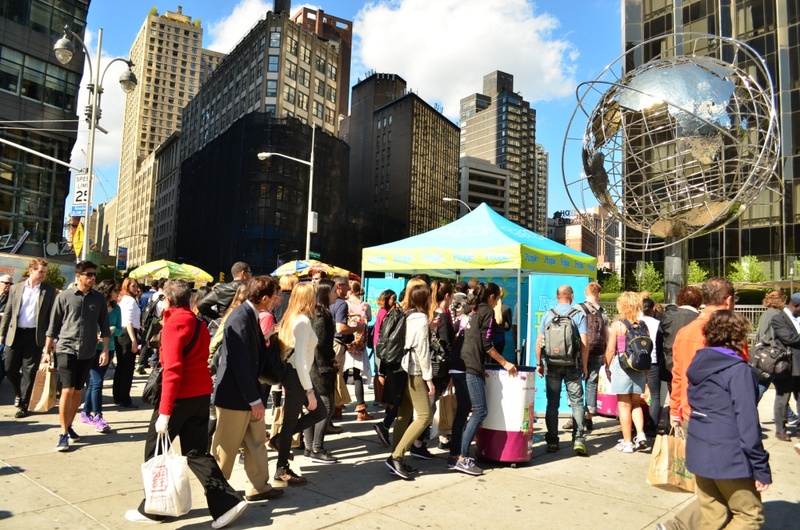 Celebrating the 40th anniversary of People Magazine with crowds of consumers lining up for the buzz-worthy Tweet for a Treat social vending machine. It might not have a snappy name, but we’ve fallen pretty hard for this large plot of land in the heart of SoHo. It’s rare to find this much space in the middle of the city, (and that means it probably won’t last long). Brands should use it as much as possible while they can. 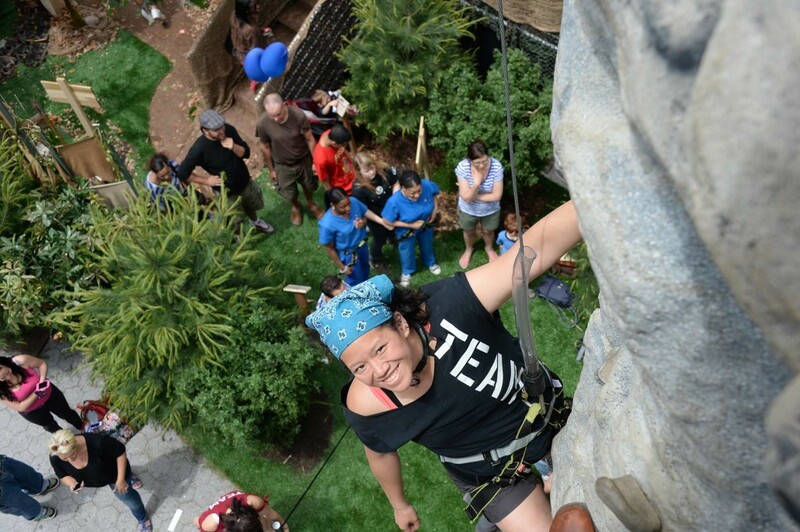 Raising awareness for Mountain Dew’s DEWcision 2016 Campaign via the DEWggro Crag Powered by The Splat. We love New York and its close quarters living, but every now and then we need to get some space. That’s when we like to hit the Hudson in boats and barges. Or if you’d prefer to see the water from a distance, you can rent a Chelsea Piers warehouse that gives you plenty of room for your event and unparalleled creative control. 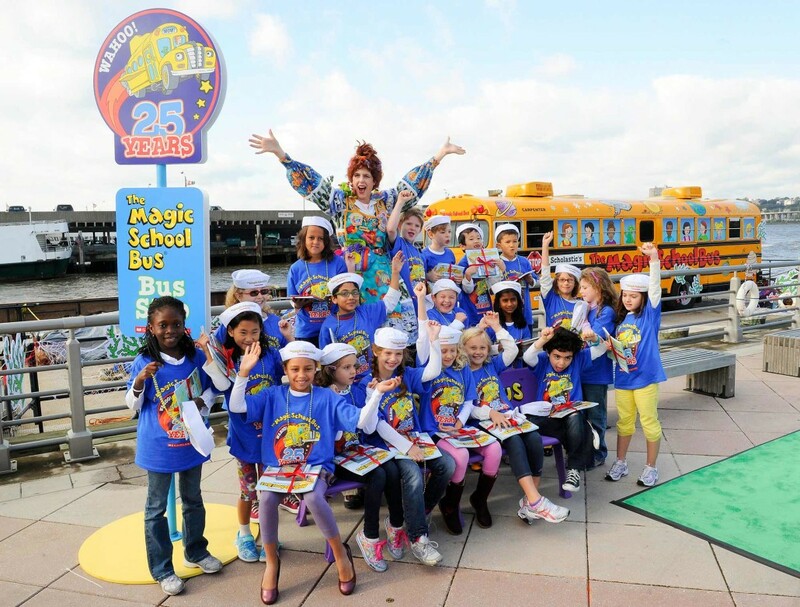 Celebrating the 25th anniversary of Scholastic’s The Magic School Bus with an interactive field trip for students, complete with The Magic School bus floating down the Hudson River. The name says it all. From its vaulted ceilings to its frankly-insane forty-two intersecting commuter routes, this station is equal parts Grand and Central. 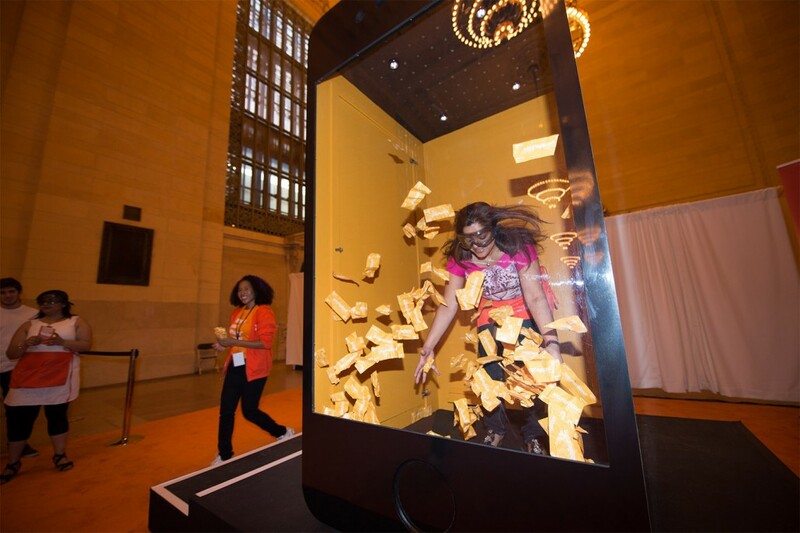 Encouraging consumers to recycle their old phones with Gazelle through a money machine experience, allowing them to interactively determine the value of their old phone. If you’d like to see more details on these venues, or if you’re having trouble figuring out where in New York your brand will fit best, just drop us a line. We love to talk about this city. Seriously. You might have trouble shutting us up. The michael alan group is a full-service experiential marketing agency & event production company. 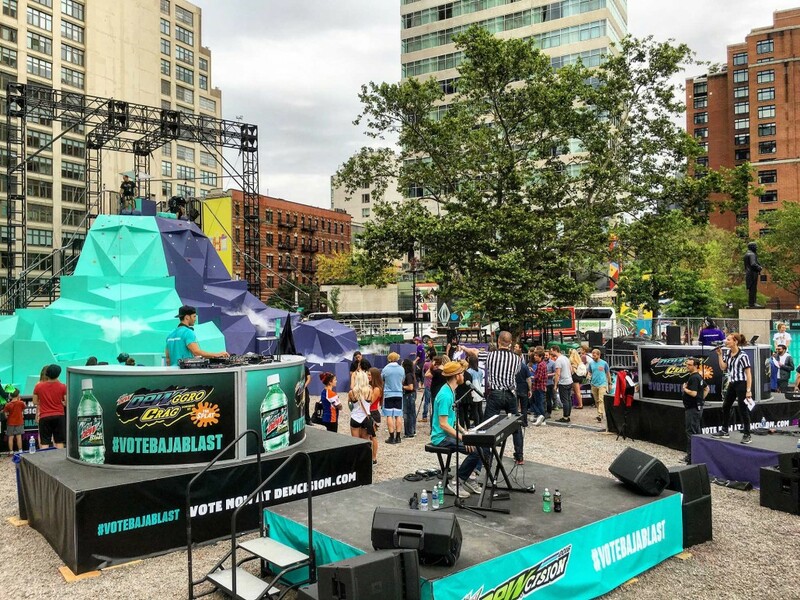 Check out our work and our team, and drop us a line to chat about planning an activation in the Big Apple.